The Red Square is the main square of Moscow, by the Kremlin's walls. In the 20th century it was a venue for workers' and military parades, for sumptuous funerals - including the ones of the founder of Soviet Union. Vladimir Lenin's embalmed body can still be seen in the Mausoleum on the Red Square. A colorful multi-dome St. Basil’s Cathedral at another side of the square dates back to the times of Ivan the Terrible - the 1500s. An elegant GUM shopping mall under a glass roof still preserves the atmosphere of the late 19th century. 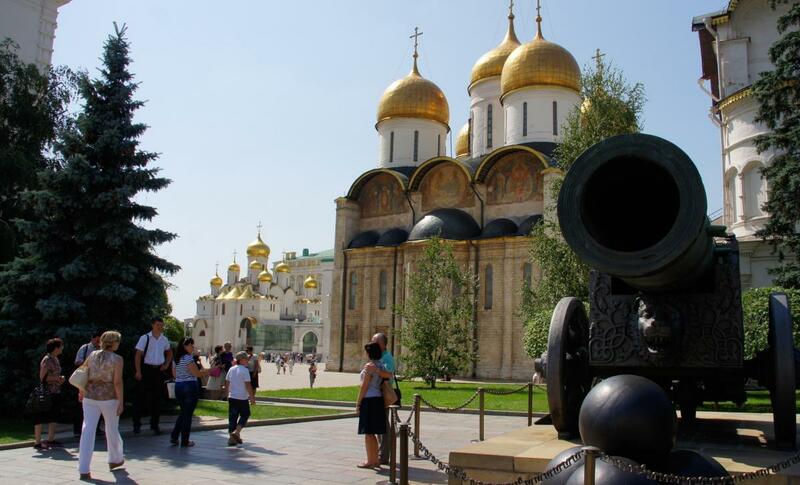 The Kremlin is an ancient citadel, Moscow's oldest part and a seat of generations of Russian rulers. The walls of the Kremlin with its 20 towers and other monuments. The guide will meet you at your hotel and will bring you back after the tour. The Kremlin tickets will be bought in advance, so you will not need to stay in line to the ticket office. Tour cost (for up to 5 pax): English: 120 USD, Spanish, French, Italian, Portuguese: 150 USD . You can pay in cash, by credit card or online.